How to use Valuframe connectors. There are a multitude of connectors and connecting options with Valuframe. Some you might already know, some will be new. They have different advantages and limitations depending on the function and your project, the choice of connector is critical. 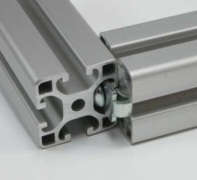 One of the most important features of the aluminium profile system user as opposed to just an aluminium profile user is the ability to use connectors as opposed to welding. 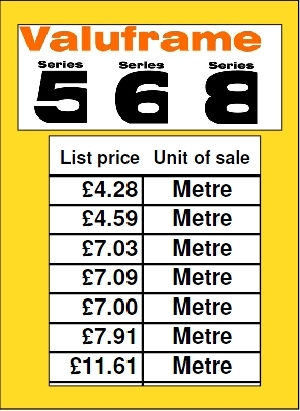 If you are new to Valuframe the choice may seem daunting. Send us your design or give us a call, we can help you choose the right connectors for your project. Small but strong, our no drill connectors are just that, a robust connection that requires no drilling or tapping of the mating profiles. Because of it’s strength, versatility, simplicity and low total cost combined, this is now our standard connector. There is a range of tools available for inserting and utilising the no-drill connectors. You don’t have to use these tools, as the connectors can be inserted by hand with standard Allen keys and other hand tools. However, if you are going to use the no drill connectors frequently, these tools will help save you time and make the assembly faster and more convenient. We recommend them so we have kept the cost of these tools as low as possible. Contact us if you are interested in these tools and we will make sure you get the right tools for the connector you are planning to use. Contact us if you are interested in these tools and we will make sure you get the right tools for the connector you are planning to use. Every profile series has it's own versions of the no-drill connector. 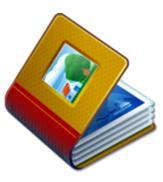 This is because of the differing slot sizes and slot geometry that each series has. There are options for connecting different series to each other too. Please contact us if this is what you want to achieve and we can advise. 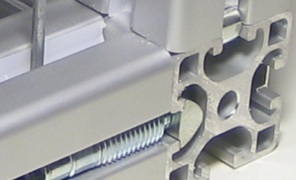 Most no-drill connectors have a stainless steel option too if required. The standard connector is the original profile connector. This connector involves drilling and tapping the mating profiles but it’s low cost and strength keep it popular. The “Butterfly” washer prevents profile rotation by locating in the slots of the mating profile. It's limitation is that if you need to reposition one of the profiles, re-drilling is necessary to allow for the re-tightening of the screw. Self tapping versions are available for fast frame building. The standard connector is the original profile connector. This connector involves drilling and tapping the mating profiles but it’s low cost and strength keep it popular. 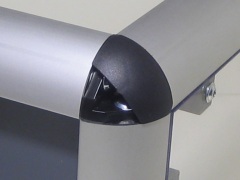 The“Butterfly” washer prevents profile rotation. 1. Insert washer and screw into M5 pre-tapped profile. Drill access hole in other Profile 5mm dia. 10mm from the end (Adapt if you require a flush end cap). 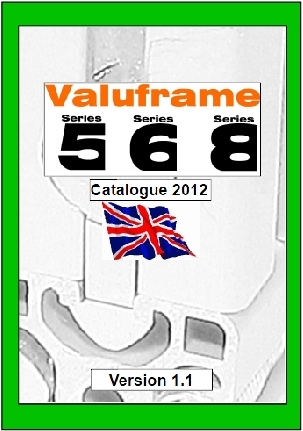 Valuframe has a wide variety of angle brackets to connect the aluminium profiles. Simple but sturdy, some angles are highly finished with plastic endcaps to hide the screws and give your frame a high end feel. 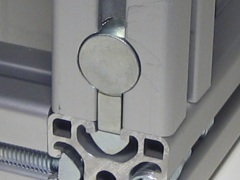 Angles actually add strength to the joint and with the addition of removable keys or "tangs" to line up the relative profile slots, angles offer a secure connection that involves no machining. 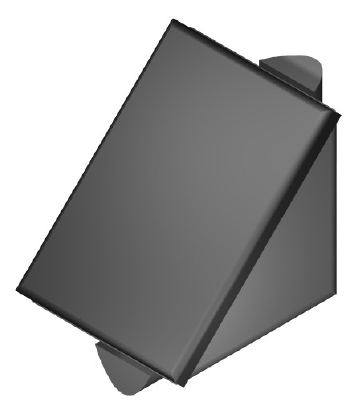 There are also more basic angles available, without the tangs, for when the aesthetic is not so important. 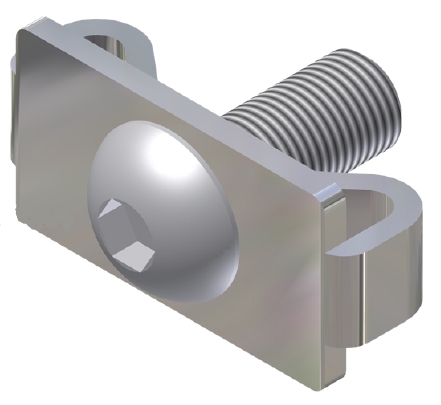 The angle itself is available as a part in it's own right but most customers choose the angle kits that include all the parts needed to connect the angle bracket. The universal connector is a popular, strong connector. 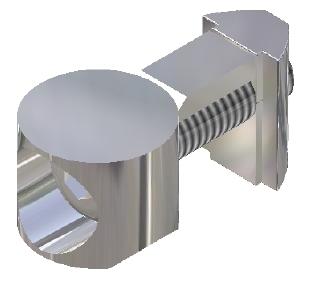 The universal connector allows the connecting profiles to be repositioned easily if necessary. 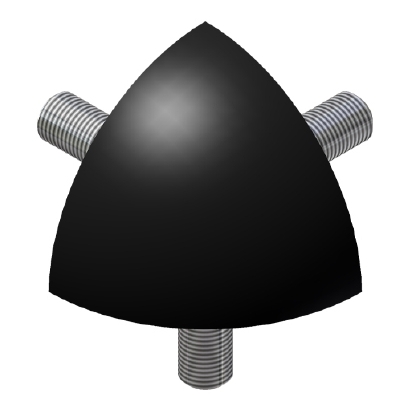 Insertion involves drilling a hole but there is no tapping of the profiles necessary. 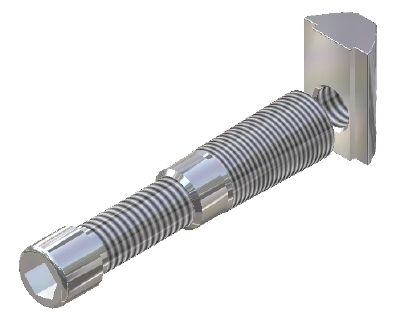 There are a variety of types available such as double connectors for heavy duty applications. 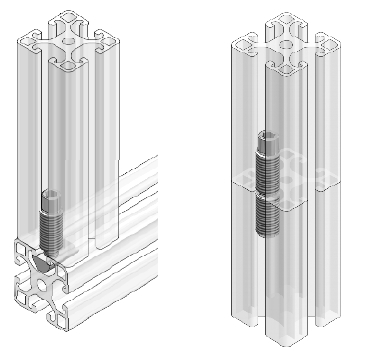 Valuframe also covers a range of corner blocks to compliment the aluminium extrusions in the Valuframe range that have closed slots. 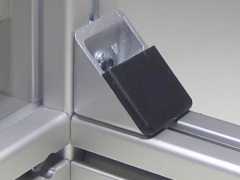 These blocks consist of a rugged cast zinc bracket that can connect 2 or 3 profiles with screws and an attractive black plastic cap that is pushed on once the joint has been secured. This connection necessitates tapping of the 2 or 3 converging profiles but the finish is smooth and attractive. Whichever way you go with connecting Valuframe, whatever you need to do, we can help you to choose the right connector for your project.